ADACI Nigeria was established through the effort and coordination of Dr. Adejuwonlo Ekundayo, a registered medical practitioner in private practice who specializes in health care policy in Africa, and serves as the Institute’s Senior Advisor. Currently ADACI Nigeria is coordinating with the Center for Black Culture and International Understanding, a UNESCO-supported project in Osun State, to develop children’s programs to expand the Center’s activities into primary and secondary schools. Since its inception, ADACI Nigeria has been quite active in community development activities, with a particular focus on youth programs. Members of the organization include teachers, university lecturers, business people, artisans, students, and other professionals. Babalawo Fakunle Oyesanya • President ADACI Nigeria – Hails from Ogun State, Nigeria. Graduated from Yaba College of Technology in 1989 where he studied Fine Arts. He is a practicing Artist as well as a practicing Ifa Priest with the title of “Erinmi Awo”. He was a former President of Orunmila Youngster International, ex-PRO, International Council for Ifa Religion, a member of the World Ifa Festival Committee 2005, Ile-Ife, Nigeria, a member of Ethics and Scripture Committee (International Council of Ifa Religion), a member of Editorial Board “Eleri Ipin” magazine and Registrar, Ifa International Training Institute, Lagos, Nigeria. Fakunle is married with children. He has written some books (unpublished) in Ifa about historical expositions from the beginning of time and certain inherent messages in Ifa. Members are: Gbolahan Okemuyiwa – Vice President • Joseph O. Bolanle Oga - Secretary General • Olufunmilola Aina Thomas – Treasurer • Olakayode Akintoye Salako – Publicity Secretary • Adeshola Benson – Welfare Officer • Miss Ebunoluwa Mariam Oloyede – Assistant Secretary. 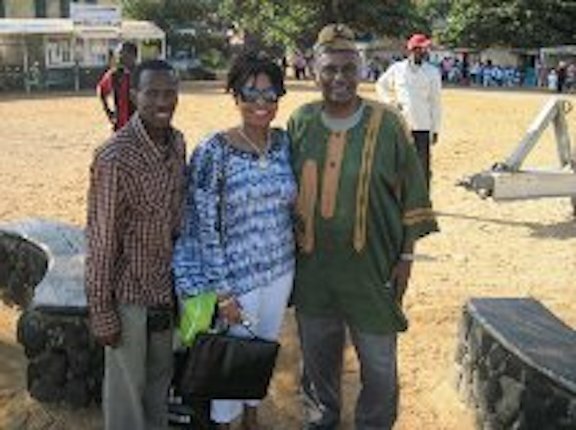 The impetus behind the founding of ADACI Senegalwas Baba Boubacar Joseph Ndiaye, the veteran curator of the historic La Maison des Enclaves (“House of Slaves”), the memorial on Goree Island off the coast of Senegal which has been designated a UNESCO Historical Site. The island was used to hold captured Africans before their perilous voyage to the Americas. Baba Ndiaye served as a principal advisor to the ADACI Senegalleadership for a number of years and assisted in guiding many of its activities which focus on the history and culture of Africa and the African diaspora, as well as contemporary issues such as HIV/AIDS. ADACI Senegal members are primarily youth leaders who work in a number of fields including the arts, media, health care, business and education. Omar Seck Ndiaye, General Manager – Mr. Ndiaye is an International consultant in communication – media and management of organizations. He is the founder of radio Oxyjeunes and he has been the head of radio department of panos institute west Africa and the coordinator for youth media programs in Plan International Sénégal. He works as consultant with international Institutions such as the European Union; Radio France International. Yaya Coly – Administrative Director ­– Yaya is a cultural leader and has helped establish ADACI Senegal affiliates in the Casamance and the Gambia. He has worked on educational programs the bring about awareness of HIV/AIDS. 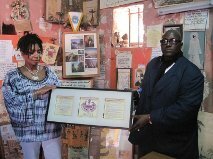 He is also an archivist and works to preserve Senegalese culture among the youth. Members are: • Sira Konate – Organization and Followed Activities • Seynabou Gueye – Assistant for Organization and Followed Activities • Amadou Diop – Health and Environment Committee • Mansata Niassy – Assistant for Health and Environment Committee • Awa Malick Diop – Finance Committee • Astou Badji – Assistant for Finance Committee • Djiby Sarr – Culture Committee • Babacar Mane – Assistant of Culture Committee • Ndeye Mareme Sow – Gender Committee • Bineta Dieme – Assistant for Gender Committee • El Hadji Fall – NICT/Communication Committee • Famara Niassy – Assistant for NICT/Communication Committee • Malick Niassy – Search and Training Committee • Helene Malou – Assistant for Search and Training Committee.